Dustan H. Reviewed by Dustan H.
Love this strap. Adds a great look to my watch. Strap is high quality and withstands the outdoor elements I work in. Highly recommend the Nomad Rugged Strap. 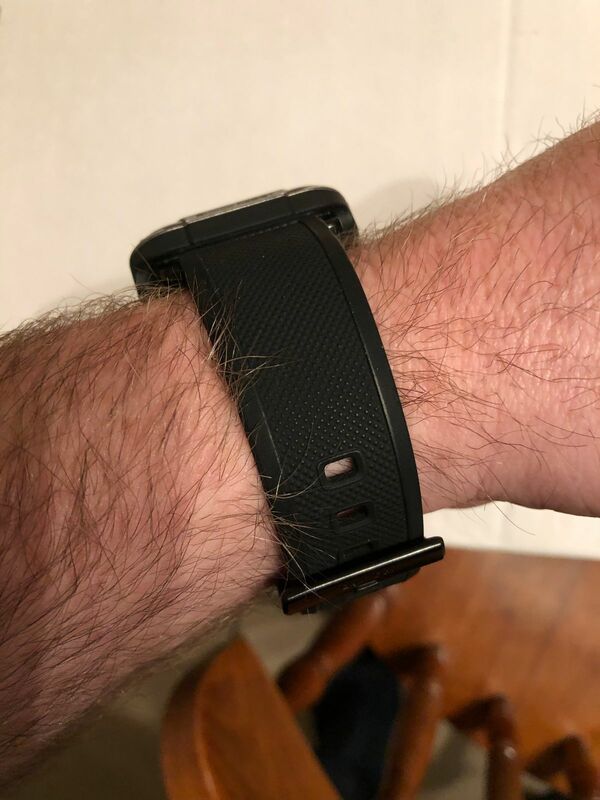 Lew P. Reviewed by Lew P.
Ty K. Reviewed by Ty K.
Love the look of this new Nomad rubber strap, it gives my new Apple Watch Series 4 a unique look from the standard Apple bands out there. The only item on the wish list, as I have a smaller wrist, is that there was a second loop for the strap to go through, as it would hold on my wrist better.